This probably is not the best way to kick off this series, but I’m seriously struggling with this post. See, I want you to like me. Not in an “Oh, Sandy—she’s-such-a-nice-girl” kind of way. But in a “Wow! 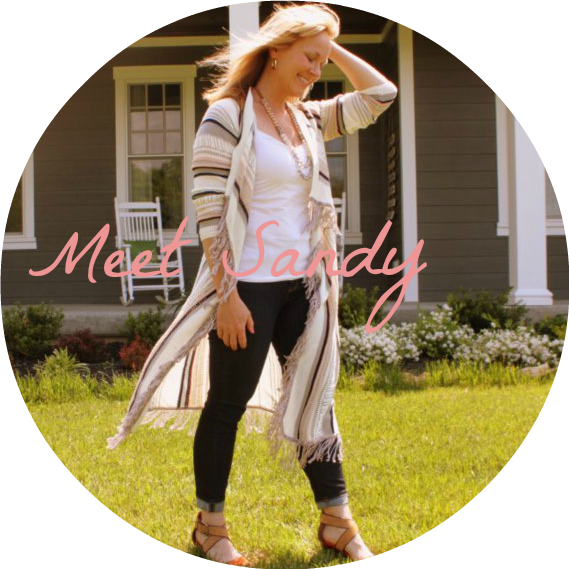 Sandy’s-so-culturally-relevant!” kind of way. I want you to think my blog is cool. I want you to think I am cool. 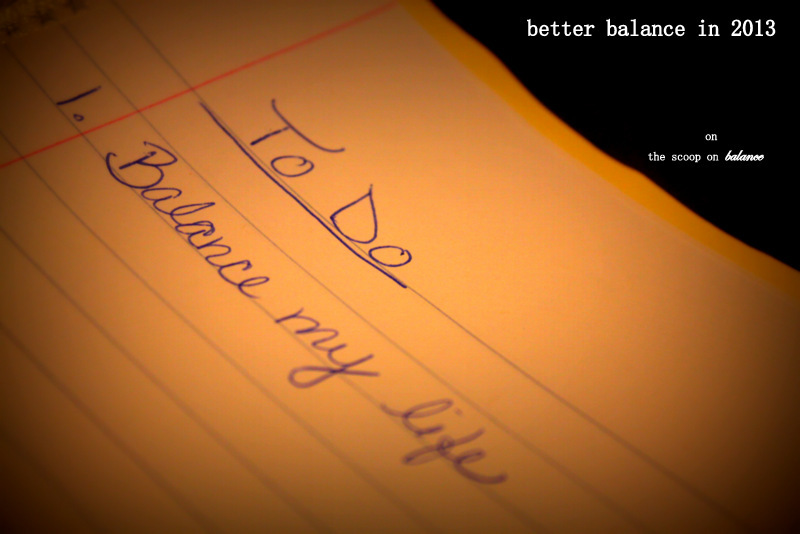 In this, the first week of our Better Balance in 2013 series (BBI 2013), I don’t want to scare you away. I fear I’ll appear too religious. I don’t want you to think I’m like a church mouse or a big-haired, loud-mouthed preacher on *name your favorite Christian cable network. * I don’t want to come across closed-minded or out of touch with reality. I don’t want to alienate the un-churched or the formerly churched or the occasionally churched. After all, you came here for a series on Better Balance, not for me to preach at you. I don’t know how to do balance without Jesus. Maybe it’s possible. I mean, I know some naturally kind and generous people, living fulfilling and meaningful lives, who (as far as I can tell) don’t cling to Jesus the way I do. Yet they appear to be well-balanced. I honestly don’t know how that works. So, if I truly want to approach the subject of balance, if I truly want to LEAD you to Better Balance in 2013, then I can’t do that and also worry that you’ll think I’m simple-minded or overly-zealous. I can’t worry that you’ll stop reading and unsub-freaking-scribe. Truth is, I’m a complete nutcase without Jesus. Most days, I wake up with neither a perfect plan nor the natural energy to implement it. Balance doesn’t come easy for me. Instead, I wake up with a terribly flawed perspective. I am typically overwhelmed with the responsibilities that lie ahead, and I am also quite possibly beating myself up for something stupid I said the day before. Left to my own devices, I’m even kind of mean and impatient. So, I’ve learned to rise early each day before my family. Before my flawed thinking turns into flawed words flowing into the ears and hearts of my children, my husband or you. Before a single rotten, mean, impatient word comes out of my mouth, I brew a pot of coffee (not required, but helpful) and I open God’s holy word—and I cling to Jesus. And I meditate (wait, that’s culturally relevant, right?). Sometimes a scripture jumps out at me. Sometimes a word pops into my head. Sometimes God will remind me of something He helped me with previously. Sometimes He prompts me to apologize or offer some extra encouragement to someone I love. Sometimes, I don’t feel anything special, except maybe a little more centered, knowing I consumed my daily bread. Knowing God read my thoughts. And my letter. This is how I commit my days to Him. This guarantees success for me. This is the foundation from which everything balanced flows from my life. 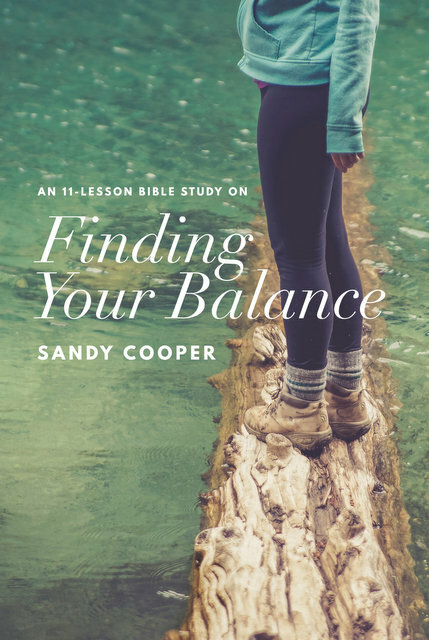 Sure, there are practical tips and strategies to help me achieve and maintain balance (and we will talk about many over the next several months), but when it all comes down to it, if I commit my day to Him, following what He wants me to do today, then I’m perfectly balanced today. It may not be the most culturally-relevant thing to say or believe, but everything I know about balance begins here. Balancing God and Life, Part 3: Building Your Foundation on God. This is the first of a weekly series I am doing the entire year. Don’t miss a single week by subscribing now. It’s easy–just look for the little blue box in the upper right corner of the blog and enter your e-mail address. Updated posts will magically and quietly appear in your inbox. I won’t use your e-mail address for anything else. And you can unsub-freaking-scribe any time you want. Sandy, I think you’re cool! And I especially love this good advice. I love how you spend time with God each day, and it’s really a good nudge for me to do this too. I think I’m going to love this series! Awww…Shelly, I think you are cool AND groovy. I totally agree with you about this. I need to make sure that the days I am building that I start them on the proper foundation. It is easy sometimes to think I can do without some of those foundational things and I can do ok at times but overall I fail if I do not carry through like you do. I used to really hate that I needed Jesus every single day. I used to wonder how other people I know can go days (weeks, months!) without cracking open the Bible and do just fine. But now, I am so thankful God has given me this “weakness” because it ensures I don’t stray far. I can’t. I fall very, very hard when I do. I was just gonna pop over to one of my favorite blogs and read something light and fun and maybe a *little* thought provoking. And *ahem* super major crazy conviction followed by tears instead. But that’s a good thing, a compliment. I really don’t care if you are ‘culturally-relevant”. Because your message today is “every-person-relevant” whether they know it our not. I know I needed to read this. I am so sure that others need to read it too that I will be sharing it as soon as I complete this comment. I have been floating through life for awhile now. Not really engaged, not really growing. Just coasting. Happy but not joyful. Productive but not inspired. Serving but without passion. I know that my work for my family and my church and the people I care about is not fruitless. God will use whatever I offer Him. But I know in my heart that He wants so much more FOR me. And in order to acheive that He needs more FROM me. This is not a condemning statement, just honest. I will get out of my life what I put into it. And God has a lot more for me if I am willing to take it. I need to snap out of my “blah” “whatever” “gowing through the motions” state and get real. And the best way to do that is to open myself up to Him. And I can do that by – duh- TALKING to Him. In any case, I’m so thankful that something I wrote provoked you to action. That’s exactly what I hoped to do. Yay! My mother gave me a devotional book called “Jesus Calling” for my birthday in 2012. It is how I start my day. Using that book as a starting point for my quiet time with God each day has changed my life. I still have a lot about me that needs to change, and now I have one more tool to make that work. Just for the record, you are one of the coolest and most relevant people I know. I have heard of that book…is it good? And thank you for thinking I’m “cool AND relevant.” I’m speechless. YOU are AH-MAZING!!!! It’s such a funny thing how God can direct you somewhere and you have the slightest clue as to why!! I have a couple of blogs, but this one in particular that I am doing w/ a great friend of mine, its called Two Scoops. And I was just doing some research and your blog came up! Let me tell you, YOU are so inspiring to me! Normally, I am on the other end of emails/comments like this, but you really are! I just love how light, casual, and down to earth you are and my fave part!? You LOVE LOVE LOVE the Lord! I thank you for your obedience and your obvious willingness to inspire friends, family, and strangers like me! 🙂 I am on my way of defeating my own struggle of perfection, so I cant wait to read more of what your heart regulated your hands to write!!! God bless you! !